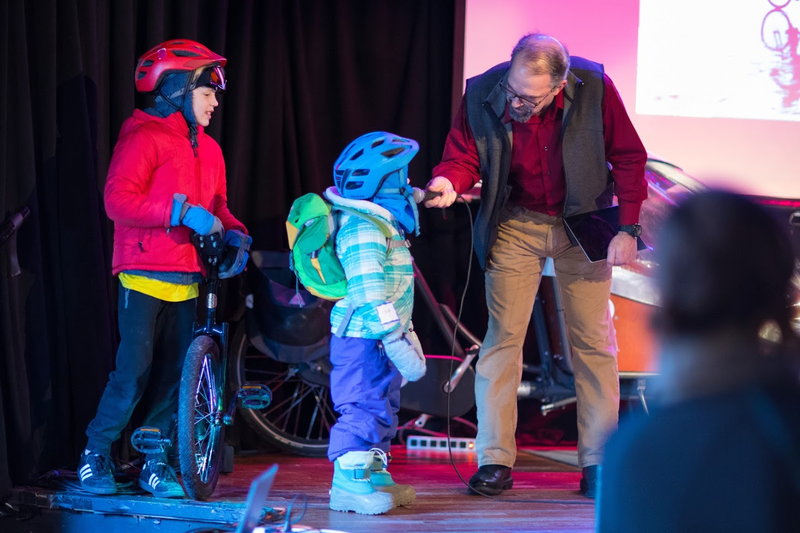 What a great week it was for biking in Madison! 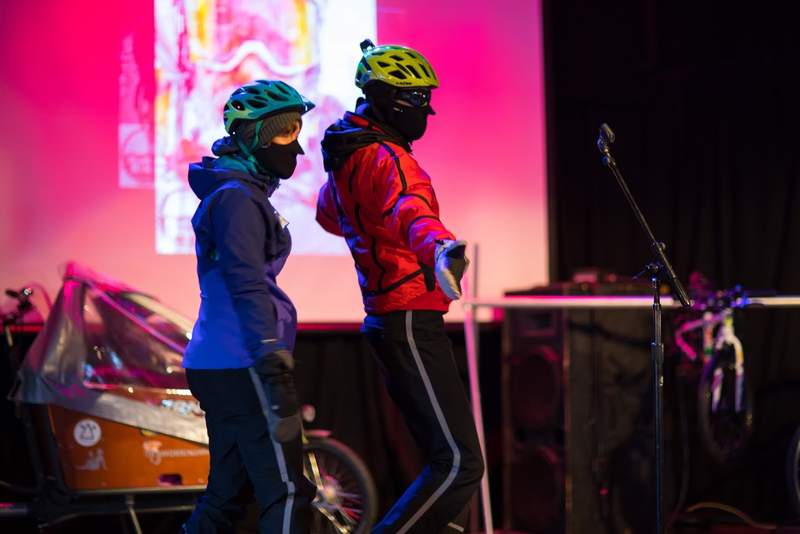 First snow of the season, Rampaging Santas on bikes, and the Winter Bike Fashion Show!! Thanks to everyone that came out in support and to everyone that helped make the Fashion Show a success. 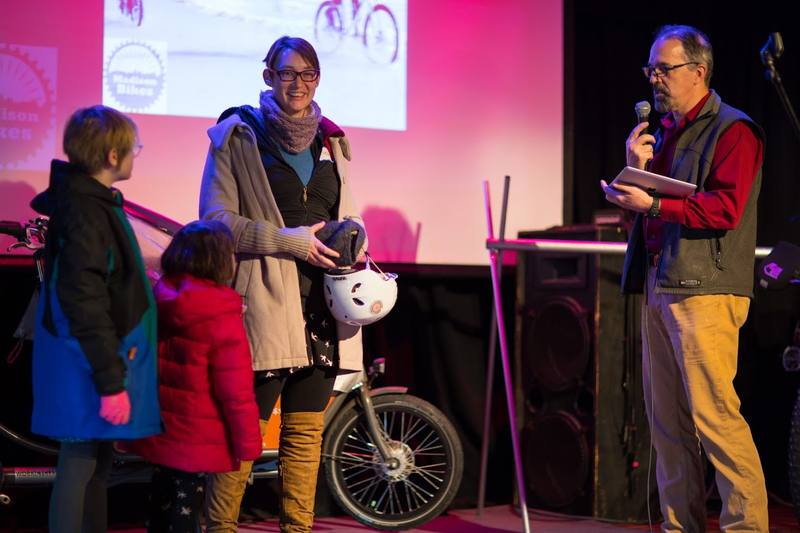 Special shout out to Emily Sonnemann and the Madison Bikes Events Committee for leading the charge, to Brian Anderson for being our mc, and to Pepe Barros and Down With Bikes for hooking us up with all the bike parking we needed. Pictures are courtesy of the talented Dan Stout! We'll publish more of them later! 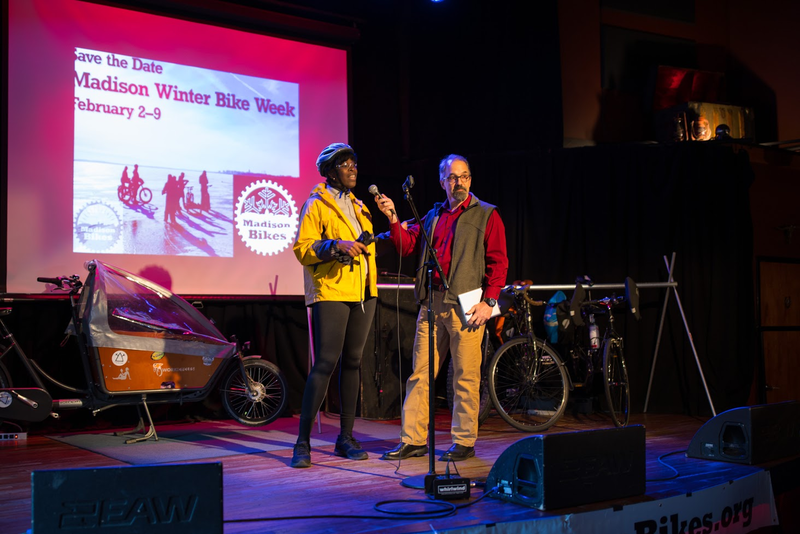 Next up, Winter Bike Week coming in early February! Monday: It should be a beautiful night for the weekly MEAThead ride. Enjoy a lake loop through fresh snow and take in the holiday lights at Olin-Turville. 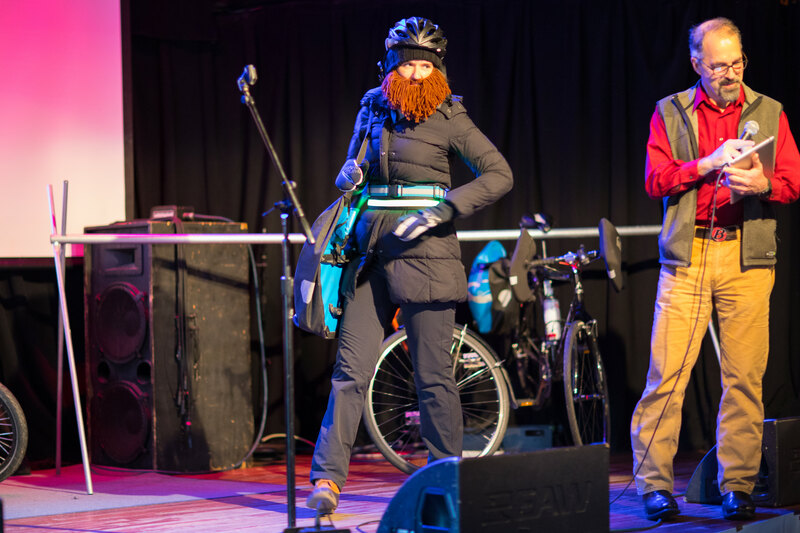 Tuesday: Sun Prairie Moves will be getting together to talk all things biking in Sun Prairie. Also on Tuesday, Bicycle Benefits and Down with Bikes will host their Bike & Puzzle Tuesday Night Ride. Wednesday: The Department of National Resources has been seeking input across the state to understand how people feel about opening more public land for motor sports. They’ll be in Fitchburg doing the same this Wednesday. Whether you can make the meeting or not, make sure and share your views on this short survey. Friday: Bikes, Art, Beer, Friends. Come out Revolution Cycles on Friday for this year’s Art Pedaler. Saturday: And on Saturday, Baltazar is back with a special Tour Navideño - Holiday Tour.